When you make a purchase from Mamre Floor, you are buying factory direct. With no middle man to increase the cost, you can be assured that you are always getting the most reasonable price available in the marketplace. If there is a product that you think we should have, please let us know. We are more than a wood source. We guarantee that the quality of our colors and finishes meet or exceed industry standards. If you are looking for a high quality engineered wood flooring that is backed by a Lifetime Limited Structural Warranty and a committed service team, call us today to find out more! Can I buy directly from MAMRE? Mamre Floor is a manufacturer/distributor and therefore does not sell directly to the public. Please visit our “Where to Buy” section to find a retailer in your area. I am a contractor/installer. Can I open an account? Unfortunately Mamre Floor does not offer accounts to contractors or installers. If you are interested in purchasing Mamre floor products please contact us at [email protected] and we can direct you to a retailer near you. I am a retailer. Can I open an account? If you are a retailer and would like to inquire about opening an account, please email us at [email protected] and we can direct you to a Territory Rep in your area. What is the difference between solid hardwood flooring, engineered hardwood flooring and laminate flooring? Solid hardwood flooring is an all-natural product. Each individual plank is formed from a singular piece of wood. The thickness is typically 3/4”. This type of flooring is not recommended for every room because solid floors expand more when exposed to moisture than engineered floors. You can only install them over a plywood subfloor at or above ground level. Engineered hardwood flooring is an all-natural product. Each individual plank consists of three layers. There is a solid hardwood wear layer (‘show’ wood) selected from a particular wood species for the beauty and look of the wood’s natural grain. The wear layer can vary from 1 mm – 6mm. This wear layer is followed by the core layer (structural layer). The core layer is composed of wood strips of either three layer plywood or full sheets of multi-layer plywood. Beneath the core layer is a full length sheet of plywood called the supporting layer (base layer). This layer is attached in the direction of the grain of the wear layer and perpendicular to the direction of the grain of the core layer. All three layers are fused together using a ‘cold press’ method, making it stronger and suitable to use in almost any room (even basements), given that the proper precautions of laying down a water barrier and subfloor be taken. Laminate flooring (aka ‘floating floor’) is a synthetic flooring option. It is composed of four layers: The top wear layer is a protective thin, clear laminate sheet followed by a second layer of a photo image of a natural wood grain. This is meant to give an ‘illusion’ of real hardwood flooring. The next layer is the core layer and it can comprise of either MDF (medium density fiberboard), HDF (high density fiberboard), or particle board. These core layers are composites of wood dust, shavings, and fibers mixed with glue and then compressed. The final layer, or backing, is a melamine plastic layer. Is it normal to find mineral streaks, knots and other imperfections in engineered hardwood flooring? The beauty of real, natural wood is its uniqueness in distinct color, character and graining. Engineered hardwood flooring is made from real, natural wood. Each plank is considered unique in its characteristics, defined by possible mineral streaks, knots and other imperfections. Such characteristics in the wood material is a product of nature and not considered a defect of the hardwood flooring or a manufacturer’s defect. Are Mamre Floor Products Carb compliant/certified? We are CARB certified and also LACEY ACT compliant, FSC certified, and members of the NWFA and USGBC. For more information, please contact us at: [email protected] You can also view our test results here. For years, solid hardwood flooring was the only wood product available to consumers. Wood is still considered premium flooring and used in homes of good taste. Changes in the industry have brought about more sophisticated milling methods for producing new products. Because of wood’s inherent problems with moisture, it has always had limited usage. The advent of engineered wood floors has changed the industry. 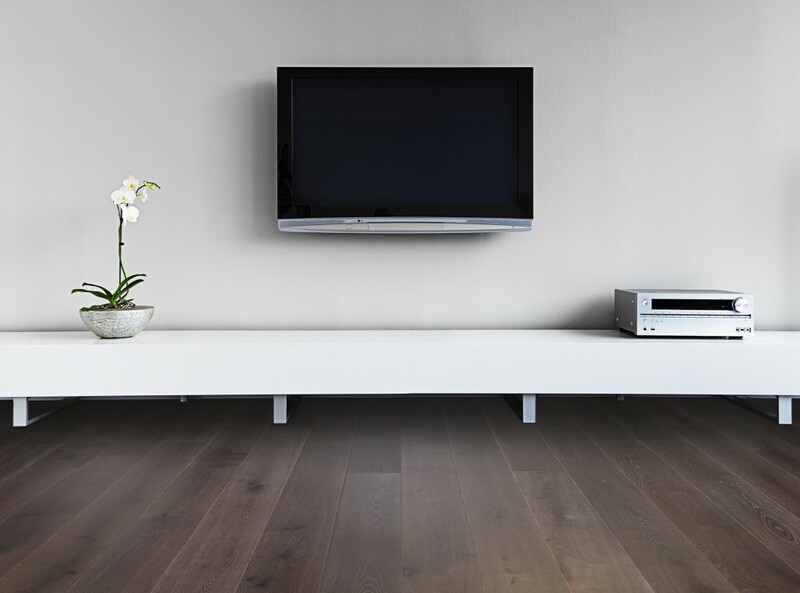 Unfortunately, solid wood flooring can’t be installed below grade or any area subject to moisture such as near a lake or beach-front property. (Below grade is defined as any area having 4 or more inches of earth above the floor such as basements.) This sensitivity to moisture makes solid wood likely to move or warp when there are changes in humidity or temperature. This makes for limited use. The top wear layer or “show wood” is composed of various hard woods. MAMRE uses walnut, birch, oak, maple and hickory. The thickness of our wear layer varies from 2-4 mm. The thicker the wear layer the more beautiful and durable the floor. Hand scraped and hand wired brushed surfaces are created by experienced craftsman using tools which create an aged/distressed look. Long before machines, everything was done by hand. Hand scraping and wire brushing bring out the wood’s natural grain giving them a timeless appearance. Although these processes can be time-consuming and costly, they produce more authentic looking flooring than more commonly machine scraped surfaces. Mamre Floor’s top wear layer is finished with, depending on the collection: UV cured aluminum oxide, UV cured oil, or natural hard wax oil. These types of finishes are critical to the overall quality and beauty of our flooring. The fine transparency of the finish accentuates the natural grain and the durability provides long-lasting protection. The floor finish protects the floor from scratches and dents, but does not make the floors dent or scratch proof. Scratches and dents are part of the character of wood floors and are lessened by keeping chair legs and shoes in good repair. Refinishing is only necessary for color change and is not recommended for any of our products. Engineered flooring looks almost identical to solid hardwood flooring, however, it is infinitely more stable over time. Whether engineered or solid wood flooring, eighty percent of realtors suggest that it adds twenty percent more value to a home. The structural stability of engineered wood flooring is in the manufacturing process. The product contains several layers of plywood, which are perpendicularly placed, glued and pressed together under heat and pressure. The number of plies varies from 3-7 depending upon the product. Our strict manufacturing and quality control guidelines allow us to offer our customers a Lifetime Limited Structural Warranty (residential/commercial) and a 35-Year Finish Warranty for residential use and 3-Year Finish Warranty for light commercial use. One of the most attractive features of engineered hardwood flooring is that it is an environmentally friendly product. Because of the manufacturing process, less wood is used and fewer trees are destroyed during the process. Our products are certified by the Forest Stewardship Council, which verifies that our products and practices conform to the FSC’s strict forest management standards. Engineered hardwood floors should not be confused with laminate flooring. The cross ply construction is similar but the top “show wood” on laminate is merely a high resolution photograph of a wood floor that is fused to a synthetic material. The Janka hardness test measures the force necessary to embed an 11.28mm (.444) steel ball into a wood sample half the ball’s diameter. The common use of this scale is to determine if a species is suitable for flooring and the depth of the indention. It should be noted the tests are not conducted on actual flooring, and the types of wear layer and construction of the floor also contribute to its dent resistance. Please keep in mind that no hardwood flooring is dent or scratch proof. Good flooring for low traffic rooms such as bedrooms and living rooms. For more information on the Janka rating, refer to the American Hardwood Association, http://www.hardwoodinfo.com/articles/view/pro/22/276. Comparable in durability with Maple or even Oak, birch is a recommended choice for the price-point conscious consumer. For more information on the Janka rating, refer to the American Hardwood Association, http://www.hardwoodinfo.com/articles/view/pro/22/276. Good option for high traffic, residential flooring. For more information on the Janka rating, refer to the American Hardwood Association, http://www.hardwoodinfo.com/articles/view/pro/22/276. Recommended for use in high traffic, residential flooring. For more information on the Janka rating, refer to the American Hardwood Association, http://www.hardwoodinfo.com/articles/view/pro/22/276. *Please note our structural warranties and disclaimer on all of our products. In order for our warranties to be honored, all of our products must be installed by Licensed Residential contractors. Should you need information on this, you may check with our technical associates. We offer a 3-Year Finish Warranty on all our light commercial products. We offer a 35-Year Finish Warranty on all our residential products. All MAMRE products come with a Lifetime Limited Structural Warranty. In order to protect our valued customers, no online sales or warranties will be honored except through authorized dealers of Mamre Floor. 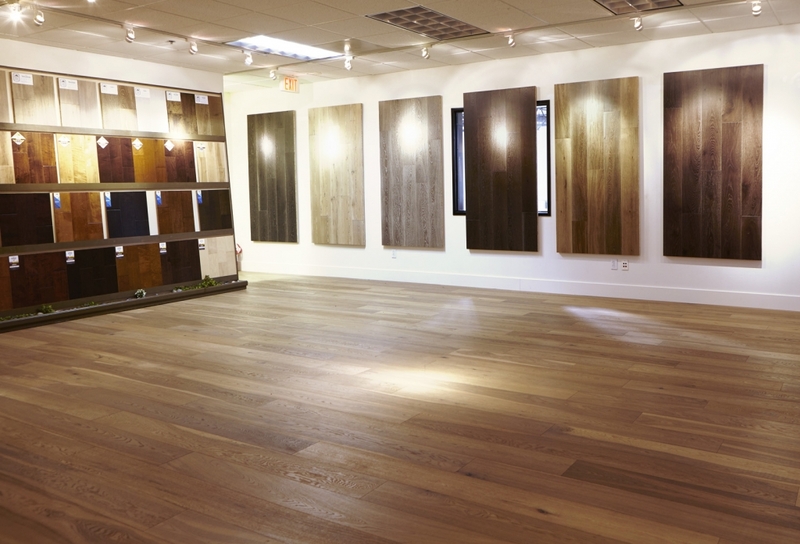 Looking for a retail location to purchase MAMRE® flooring? Please get in touch with one of our sales reps and they will be able to direct you to the retailer closest to you.